Any vendor who tells you that they don’t charge a haul fee, it’s because you are paying the haul fee every day of clearing! The move fee I charge is paid directly to the equipment-hauling company. I do not own the truck since it is not cost effective for the truck to sit while I clear land. The driver, truck, fuel, insurance, permit fees, taxes, and maintenance fees are paid from the move fee. Like my Hydroax, these trucks require considerable upkeep to safely do what needs to be done. Here is a picture of the Hydro Ax loaded on the truck ready to go. 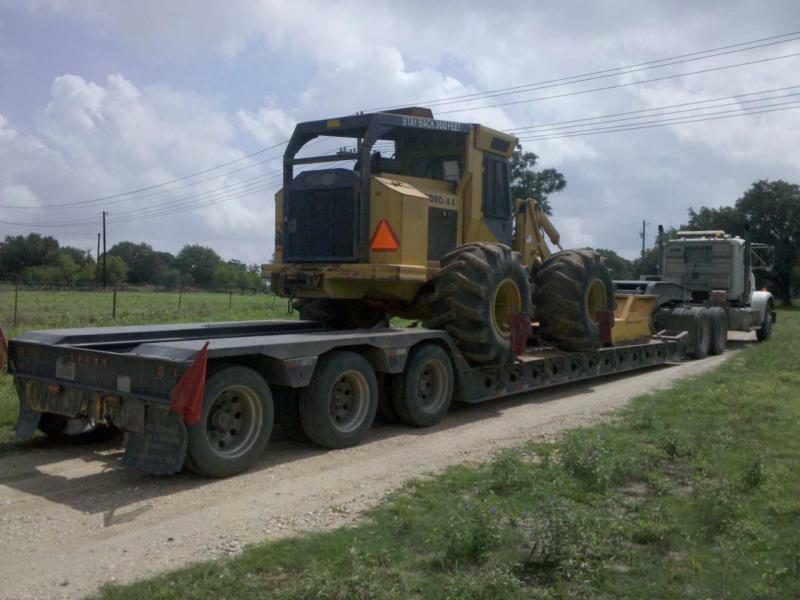 A large truck is necessary since the machine it is moving is a large machine. 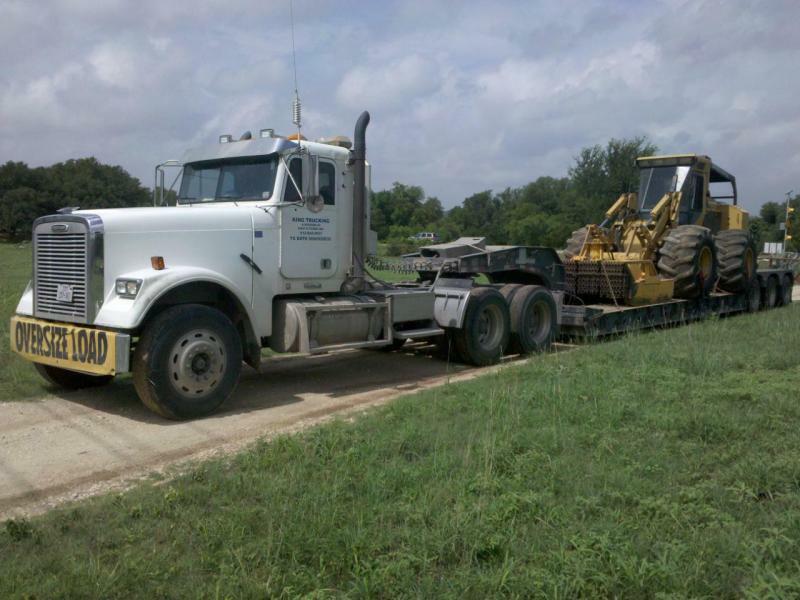 The truck is driven by a professional driver who hauls heavy equipment daily. How can one company absorb these expenses when the next cannot? Somebody is paying, who do you think it is? With equipment this large, you want a professional in control of the situation. The last thing you or I need is an accident in route to or on your property. 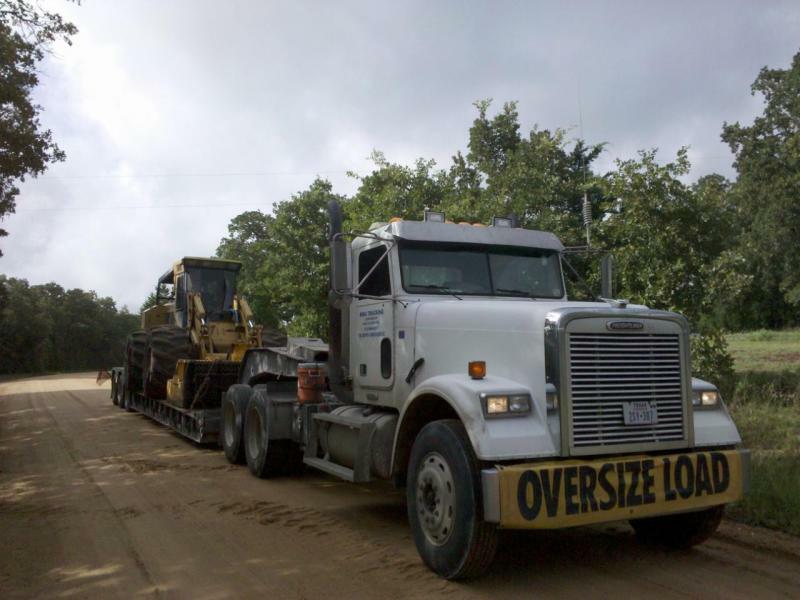 The driver of the truck loads, unloads, and parks the machine and activates the anti-theft safety devices located in the machine to ensure that it does not move before an experienced Hydroax driver arrives to take care of your land-clearing needs.